Charming and offering lots to do in little space, Corktown is also one of the hottest areas in Detroit for new businesses. A wide variety of businesses are opening or relocating on Corktown’s bustling stretch of Michigan Avenue. Largely residential, Corktown is also home to a growing number of commercial properties. The neighborhood was listed on the National Register of Historic Places in 1978 and is also designated as a city of Detroit historic district. 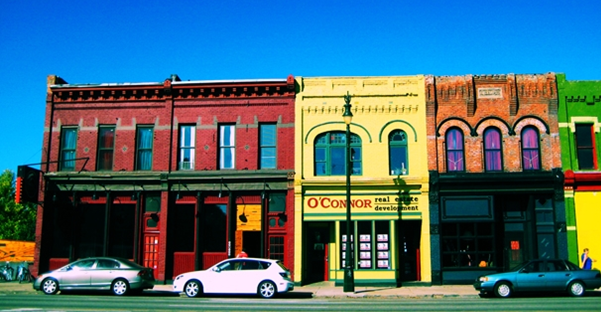 Corktown was founded by Detroit’s Irish immigrant population in the 1830s. Initially, the homes were detached or row houses were built in the Federal style. By the 1890s, an increasing number of the Irish population moved to other locations in Detroit and a second ethnic community of immigrants from Malta made Corktown their home. In the 1920s, the Latino population began arriving from Mexico and the southwest United States to work in Detroit’s auto plants. Corktown boasts Victorian-era row houses, beautifully restored with vibrant colors and careful gardens. The neighborhood is a tight-knit community and the surrounding entertainment district is great for music and bar hopping. Corktowners certainly don’t hurt for places to eat or drink. In fact, Corktown is called “culturally cool” at night. With all the new restaurants and clubs, this area has really become a hot spot destination for people seeking a night out in the city.